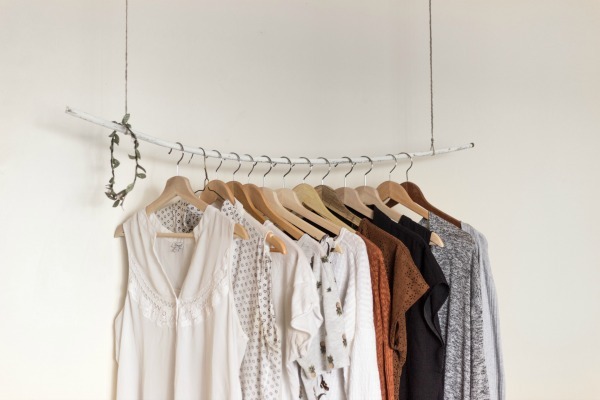 Namely, the combination of rod, high shelf, and options like floor baskets does the trick and enable us to make the most of less-than-ideal closets. Try to fit the high wire shelf over the hanging rod for luggage and items that are off-season or needed infrequently. As for the lower part, one of the best tricks I have seen is a rolling boot tray. It allows you to keep wintery footwear out of sight and wheel it out effortlessly. The list of smart solutions goes on. Put baskets or open bins on the high shelf and put less-used items there. Lidded boxes are perfect for stashing smaller accessories, while crates prevent larger objects from toppling over. There is always a possibility to hang a closet organizer as well. And in case you need to lift the hanging rod up high or the shelf is difficult to reach, consider placing a step stool. No space is beyond salvation, including that tiny bathroom linen closet. With some wire pull-out trays attached to the shelves, it instantly becomes catch-all storage for laundry as well as bathroom and cleaning supplies. Likewise, pull-out bins are the way to go whenever you have to ensure easy access in frustratingly narrow closets. Furthermore, note that the sliding doors perform much better than regular doors in terms of conserving space. Alternatively, you may free up maneuvering space in the room by replacing the doors with curtains. 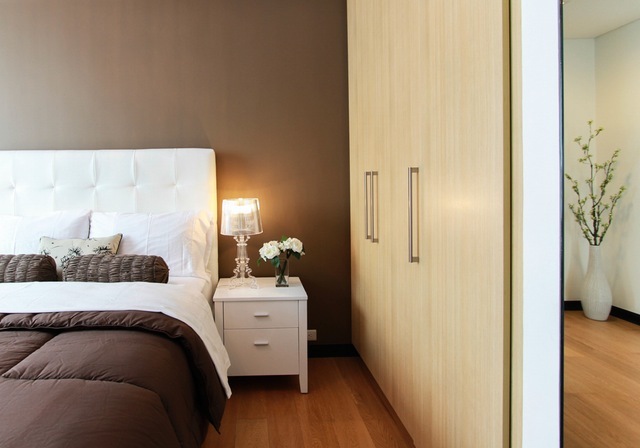 And if you are satisfied with merely creating an illusion of more space, blend the door with surrounding walls. All you have to do is to put a flat door and paint it in the same color as a wall. 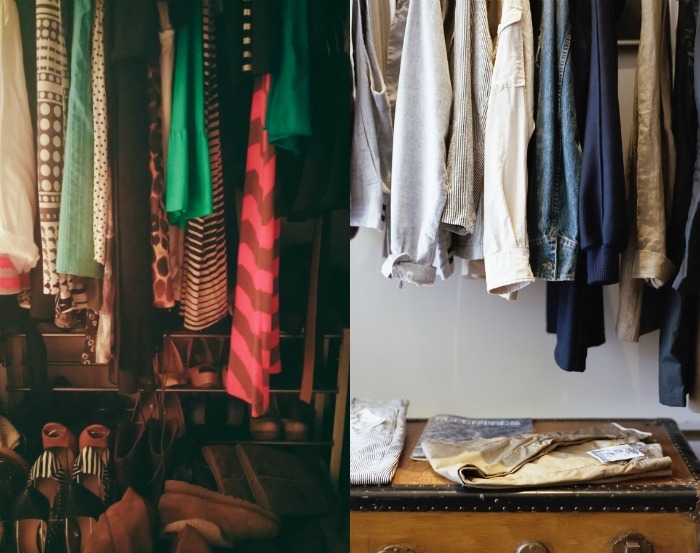 You can even do things like putting a tiny dresser in the wardrobe to utilize more space. With a wire storage basket on top, it holds the space for a pair of shoes. On the other hand, pop-up hampers are great way to keep clutter at bay and store items such as children’s toys. Get your creative juices flowing and think multi-purpose: Let a shoe holder, with all its pockets, double as a storage space for smaller items. Of course, sometimes, it pays off to invest in other storage pieces or repurpose some furniture and unused objects. A tall bookcase anchored to the wall, for instance, can be an unconventional life-savior. It contains enough space for folded clothes and accessories. Finally, I would check out removable modular systems that can be rearranged nice and easy, just like hanging clothes. Do not fret if the closet is on the small side. Kick-start your inspiration and employ divide and conquer strategy. Grab unused space wherever you see it and let it do the heavy duty with newly-equipped capacities. Lightweight and affordable solutions, when used properly, make a huge difference and transform closets into ultimate storage tools. So, arrange your closets with these shipshape ideas and make your life much easier. Thank you for sharing all the useful tips. I have a small closet and could use them. I like the Idea of having floor storage bins . I already invested in a roll out shoe carrier . Works great! I wouldn’t know how to act in a walk in closet..